Greetings folks. 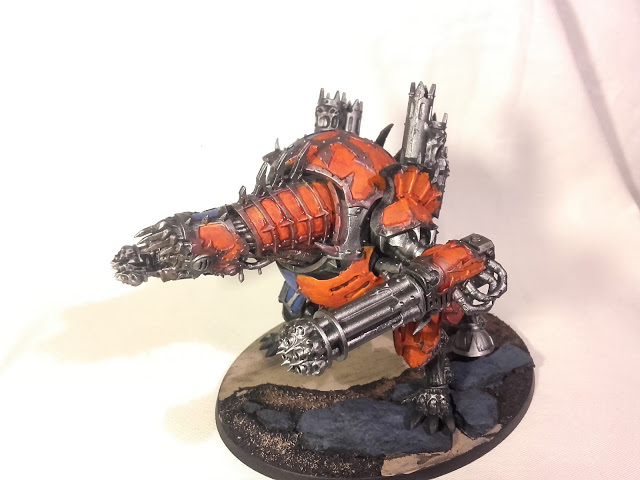 I thought it was well past time I got my finger out and got my Forgefiend up to spec. Thankfully I got some good time to work on him last night and got him from his old state to this level. Ok I am not exactly jumping along at Mordian 7th speed but it is pretty good for me. As you can see I have gone with a split scheme as both a nod to Thor from Creative Twilight and his Chaos warband of the Disciplines of Twilight, as well as a tribute to the character of Ignis from the Ahriman novels. Thousand Sons Forgefiend WIP: …half orange. Mind you the biggest part of this post is my attempts to improve my photography. Which I hope I managed to do here… I used two lights, sadly only one was a day light bulb and the other a regular one. I tweaked around with the exposure levels and cut out a lot of the useless white space from around the model. There is still a lot to do but I was quite proud out how much I got done in the end, even if it was a little rushed, lots of cleaning up to do. Currently he is not even attached to the base for ease of painting. The base still looks very plain to me. What do you think? 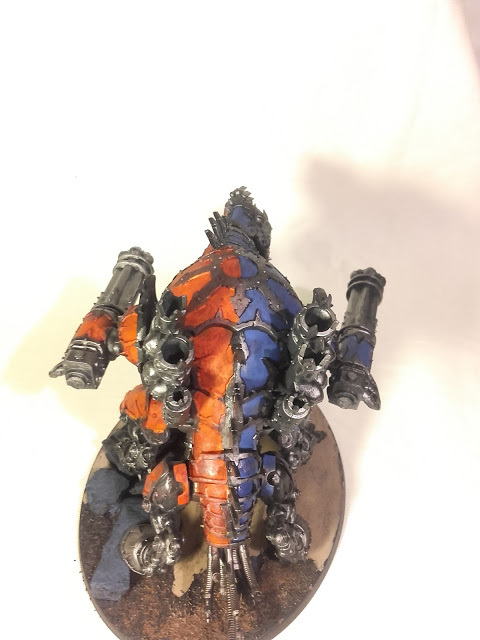 Thousand Sons Forgefiend WIP: Rear view showing the split scheme. The spine here is going to be tricky to paint and will most likely be the most of the next session, along with starting the bits of skin/muscle that can be seen on the legs. 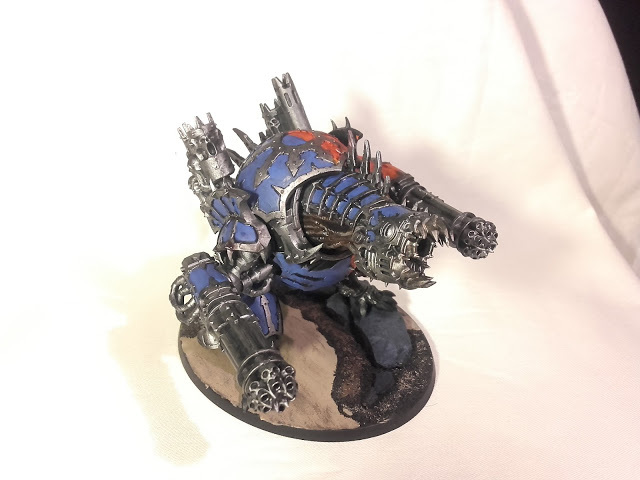 I am still unsure of what colour to do with on it, my Hellbrutes have all used different colours so far and each I think works in their own way. So many choices! To continue the theme of fellow blogger shout out I can heartily recommend Creative Twilight. I have been talking to Thor for almost as long as I have been blogging and he helped a lot with my initial setup here. On top of that I really like the articles from Thor himself as well as his other contributors over at CT. A lot of good reading in that community.